609 Avenue Road Condos priced from the $300,000's! 609 Avenue Road Condos is a new condominium development currently in pre-construction at Avenue Road and St. Clair Avenue in Toronto, Ontario by Madison Homes and State Building Group with a proposed 18 storeys and 97 residential units. 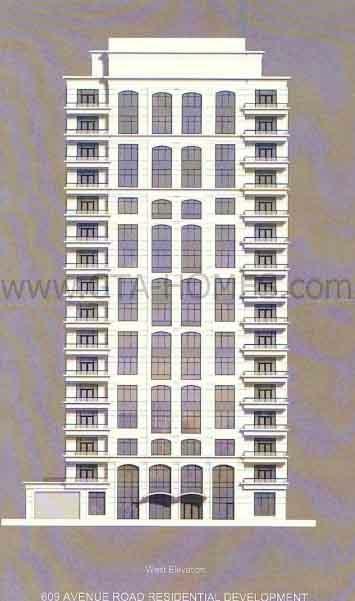 Sales for available units starts from the $300,000's to over $2,000,000. The 609 Avenue Road condo project is located to the east side of Avenue Road between Lansdale Road and Heath Street West in Toronto. The Ontario Municipal Board (OMB) on August 16th, 2007 made their decision to permit the construction of a 16 storey (52.5 metres) and 54 unit terraced residential condominium development consisting of 37 2-bedroom units and 17 3-bedroom units designed by Kirkor Architects Ltd. Total gross floor area is 11,789 square metres and there would be 139 parking spaces available. A vacant six storey co-operative apartment building on the site is recommended for approval to be demolished in advance of the building permit. Recently, Toronto City Planning is currently reviewing an amendment to the existing site plan agreement to permit the redevelopment of the site at 609 Avenue Road to construct an 18-storey residential condominium building instead of the previous proposed 16 storeys and containing 97 dwelling units instead of the previous 54 proposed units with three levels of underground parking containing 132 parking spaces. As new information arises, we will update this site accordingly. Madison Homes is an award-winning family-run and Toronto-based real estate developer with over 40 years of experience building quality homes throughout the Greater Toronto Area including condominiums and commercial (office/industrial/retail) buildings. 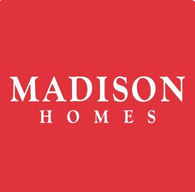 What makes Madison Homes a success story is that their homes are constructed with the customer's needs and wants in mind and with having due care in their construction process that results in quality built homes that lasts the test of time. They are involved in every development process from land acquisition to home design, to construction build and leading to exceptional customer experiences. State Building Group is a division of Forest Hill Homes, a family-run developer that has been in business for almost 40 years. They are a real estate development company based in Toronto and are registered members with TARION and BILD. State Building Group has developed many luxury condominiums throughout the Greater Toronto Area. This company also builds and manages high-rise residential properties, industrial and commercial buildings and shopping centres. 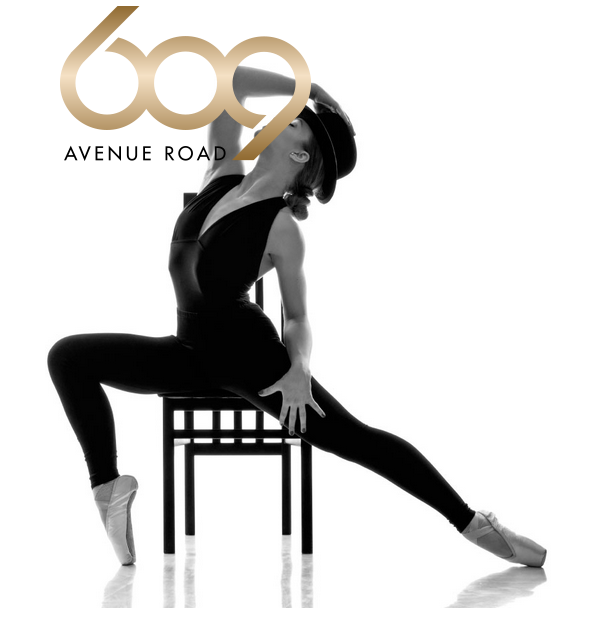 The 609 Avenue Road Condominiums will be - "A true expression of style and sophistication." 609 Avenue Road Condos is coming soon so register with us today for more information about this project from Madison Homes and State Building Group! 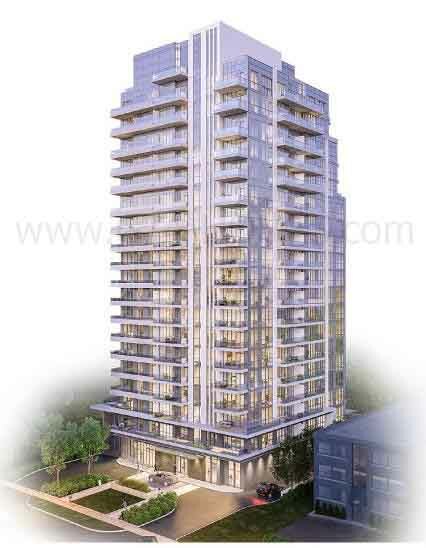 For more information, please register today for the 609 Avenue Road Condos Platinum Access Preview Event.